Installing a vinyl membrane offers a quick solution to creating a dry, first-level deck. Why does vinyl decking offer an advantage over more traditional surfaces? 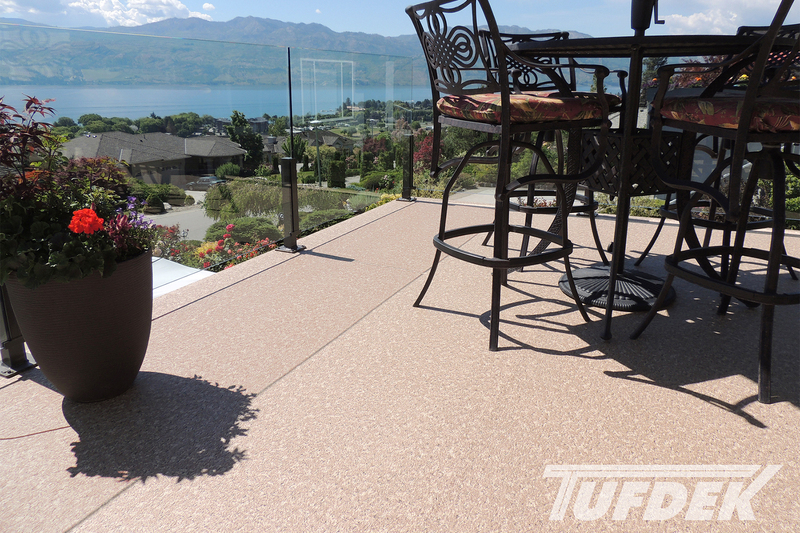 Tuff Industries will help you discover why using a PVC vinyl surface offers the best choice for having a great deck above, and a dry space below. Under a traditional wood deck, the gaps between boards can let water through, making the area under your deck unusable. However, companies have realized the benefit of creating dry space under decks and offer some below-deck drainage solutions. Trough and panel solutions work by taking the water that comes through the deck surface and drains it towards the gutters and downspouts. However, you don’t have complete waterproofing – water will still get through the gaps, as well as dirt and debris. This means that your space under the deck will often be soggy, and you won’t want to use it when it’s raining. Additionally, because water is still present under your deck surface, you can have issues with dampness, particularly if there is a lack of air flow. Because drainage troughs have to be installed between the joists, this method typically only works on new deck builds or newly-built homes. Existing decks won’t be able to use this method, making them a great choice for a new vinyl decking surface. Additionally, with existing decks, you can’t tie the drainage into the housing envelope, which puts your structure at risk or can lead to localized flooding during heavy rains. A vinyl membrane can be installed on a new or existing deck and creates a completely waterproof seal above and below your deck. Water slopes off the edge of your vinyl deck, rather than slipping through the cracks. 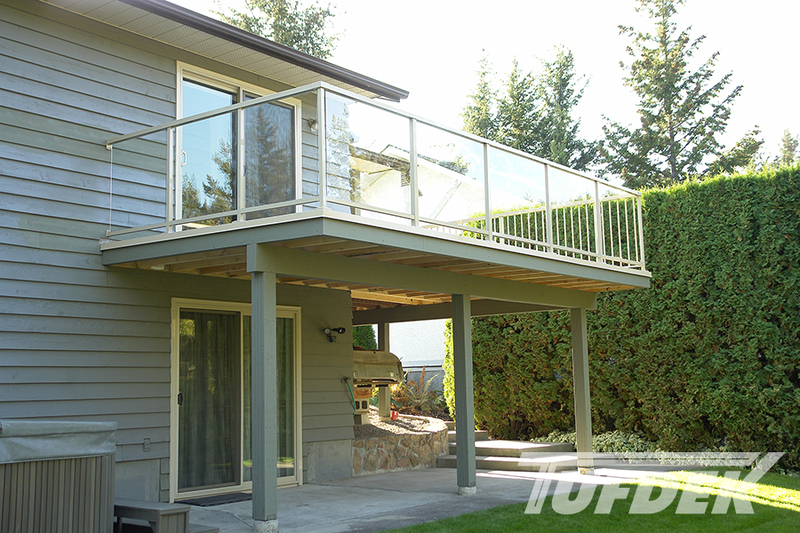 Your deck is completely protected, and so is the space underneath. Offering a waterproof deck seal, your home is protected, your deck is safe from the elements, and the space under your deck is dry – giving you’re a place to keep cool on hot days, an additional entertainment space, or somewhere to go when it’s less than perfect outside. Even if your deck is closer to the ground, you can create a dry space for extra storage, or merely to ensure that water slopes away from your home instead of back towards the foundation. Installing a new vinyl membrane on a new or existing deck surface is straightforward, takes very little time, and is more affordable than you think. 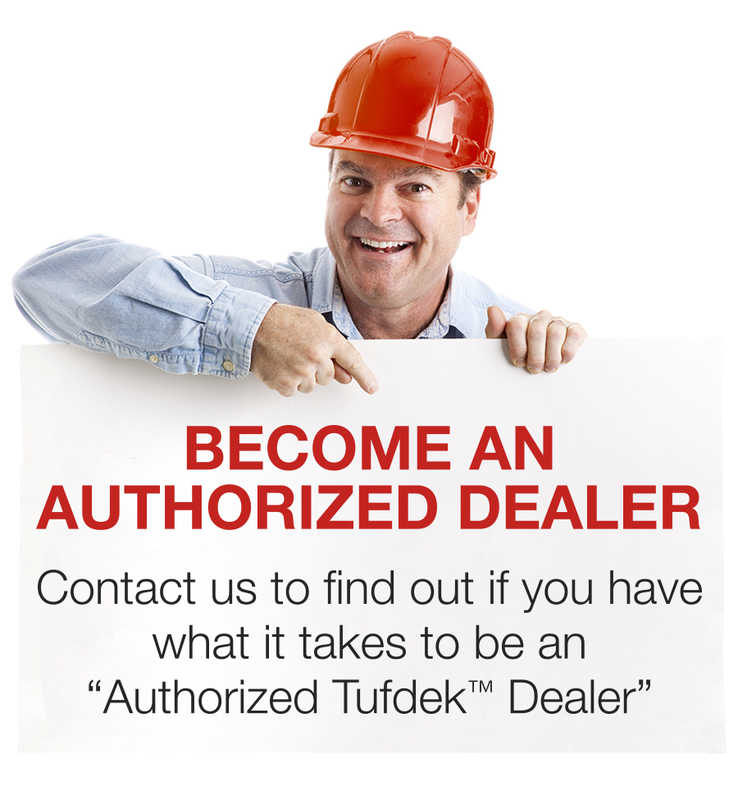 Find out how you can create a dry surface and protect your deck. Talk to a qualified vinyl contractor about how you can use vinyl decking to create a fun, dry, ground-level deck surface.